ultra5280 had the opportunity to interview Austin's UME as they touched base in Denver for the Westword Music Showcase. We found out about where they come from and where they're going, as well as why they were late to their mainstage set (it was the van curse). Next we asked UME about some other artists. They told us if they could collaborate with a hip-hop artist from Houston, it would be the Ghetto Boys; UME actually recorded at the same studio as the Ghetto Boys, Rap-A-Lot Records. When we asked who they would go on tour with, all three of them had a different answer for us. Lauren said Radiohead (sweet! ), Eric said Roger Waters (the girls snickered), and Rachel chimed in that she thought the Original Black Sabbath would be cool. I can only imagine what kind of tour it would be if all three of them got their wish! We finally asked them who they thought the "next big thing" from Austin would be; Lauren threw out Ringo Death Starr and The Sword almost immediately. We'll be keeping tabs on those guys, too. These guys are dedicated to the music; even after missing most of their set at the festival (the van's fault, not theirs), they scrambled to find another place to play a show. They found a house off south Broadway and apparently ended up playing a late-night house party set. I don't know if you know this, but they're kind of a big deal; they recently competed for a spot on the cover of Rolling Stone magazine after someone at the publication heard an advance copy of their upcoming record Phantoms. Lauren told us there's a possibility that UME will be back in Denver in August or September for another show, so we will be keeping our eyes peeled and we'll let you know as soon as we hear anything. 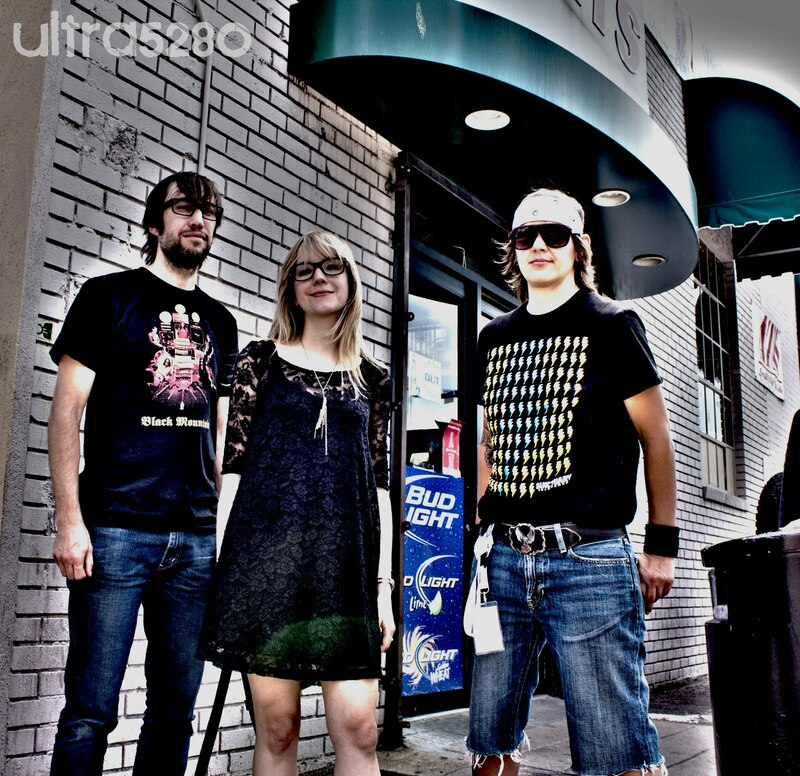 In the meantime, check out UME's website, and follow them on twitter @umemusic.